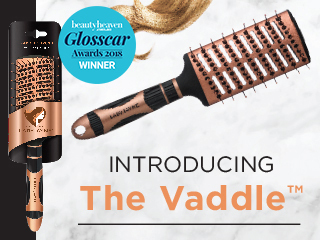 Introducing everyday glamour and detangling with the Incredi-ball Brush by Lady Jayne. The revolutionary lightweight and unique circular brush head detangles wet or dry hair to achieve maximum volume from the roots, for a smooth and wavy style. 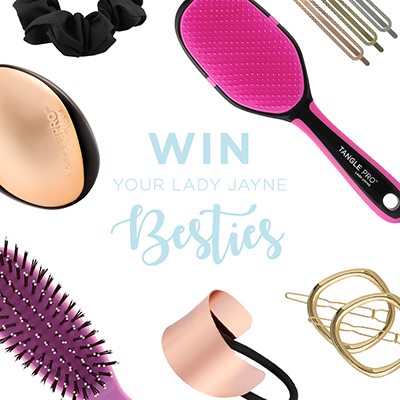 Starting with toweled off hair, blow dry in sections using the Lady Jayne Incredi-Ball Brush. Rotate the brush head through your hair, detangling and styling away from your face. The unique sphere shape and bristle placement creates a circular airflow which helps to dry and add impressive everyday volume, from root to tip. Once hair has been dried and styled with the Incredi-Ball Brush, complete the look by sleeking one side off your face and hold it in place with a Double Bar Slide.